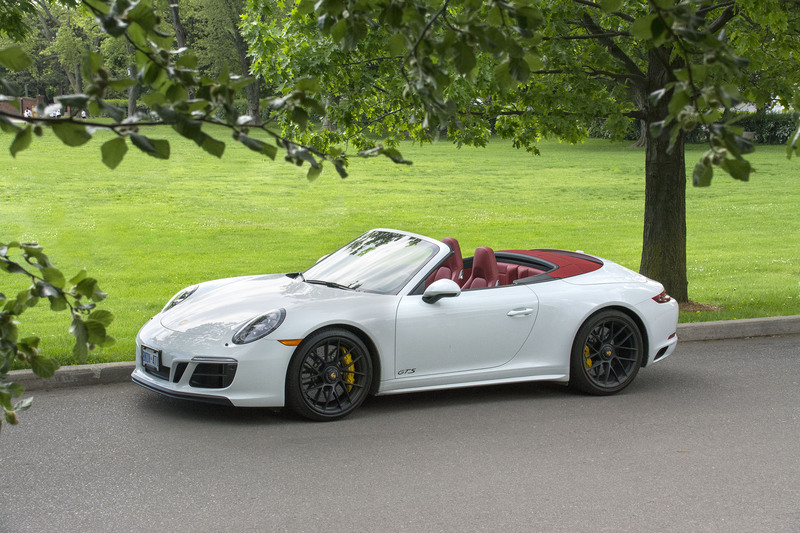 “The Porsche 911 C4 GTS Cabriolet is one of the best all-around, all-season, all-wheel drive drop top performance cars on the market today.” Michael Taylor, Co-founder, Co-president, TrackWorthy Group, Ltd. The new Porsche 911 GTSs have hit the streets, and they are the final stop up the Porsche ladder below the Turbo, GT3 and GT2 models. 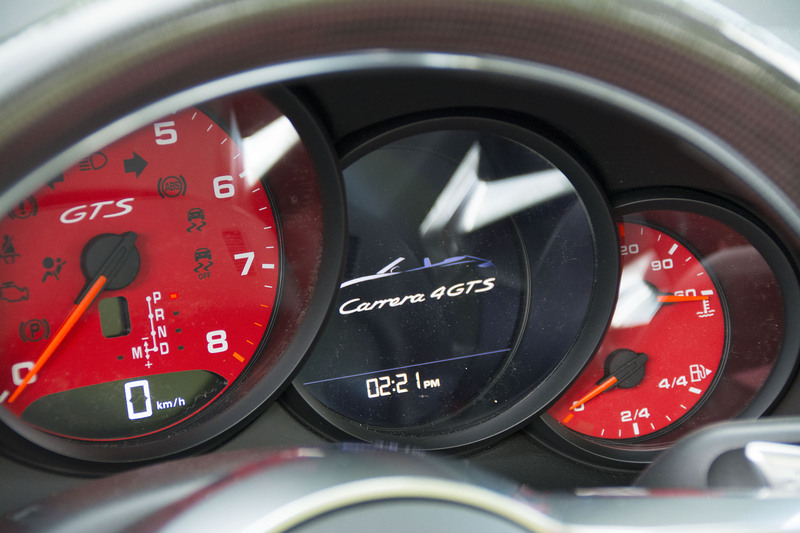 The GTSs are perhaps the best all-around 911 for enthusiast drivers. The GTS sits above the base and S models but isn’t as extreme as the Turbo, GT3 and GT2. Gone for the new 2017 991.2 911s are naturally aspirated engines. Porsche is now turbocharging the whole 911 range, including the base models. The prior generation 911 offered turbocharged engines on the Turbo and GT2 models. The evolution of the turbo, especially in the case of the 911, has come a very long way. The turbocharger in the first generation 911 Turbo, which was introduced in 1975, had a reputation for providing power in the form of an on-off switch. This was particularly challenging to handle when applying power exiting corners. In the hands of the average driver, the original 911 Turbo would often decide to exit a corner tail-first, much to the dismay of its passengers. But the 2,981 cc 450 hp engine in the GTS is spectacular. Not only does it deliver performance that is virtually free of turbo-lag, it does so using less fuel, achieving a combined fuel economy rating of 8.7 l/100 km. Porsche has also dealt with one of the other typical byproducts of turbocharging: muffling (and ruining) the engine note. As we have experienced with the Porsche 718 Boxster and Cayman, which are now only available with 4 cylinder turbos, thankfully, the new 911 range still has a very nice Porsche sound emanating from the exhaust system. The MSRP of our 911 C4 GTS Cabriolet is $159,700. 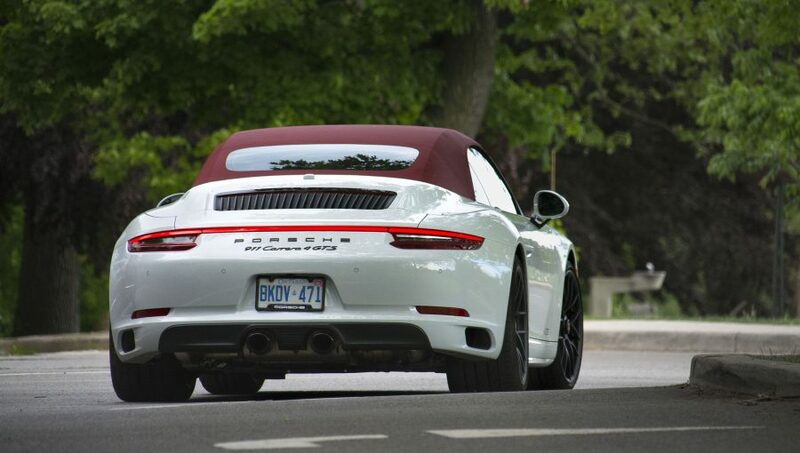 Our car is equipped with the 7-speed Porsche Doppelkupplung (PDK) transmission, a $4,250 option. There is no denying that it is possible to lap a racetrack faster in a PDK equipped car than in a manual. It is easier for novices, freeing up their attention to focus on the correct racing line without having to worry about shifting. 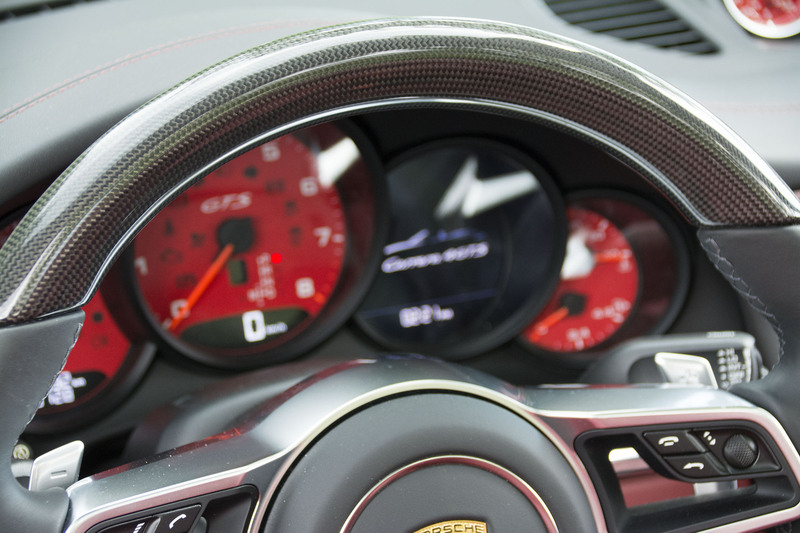 It is also quicker for advanced drivers, some of whom use the PDK in manual mode and make ultrafast shifts with the paddles, and some of whom put their trust in Porsche’s automatic shifting system, which is so intelligent that it feels almost clairvoyant. But for everyday use, I think it’s safe to say that driving with a manual transmission is much more engaging for most enthusiasts. Performance for this PDK equipped all-wheel drive cabriolet is supercar fast with 0-100 km/h times of just 3.7 seconds. And acceleration from 0-160 km/h takes just 8.4 seconds. 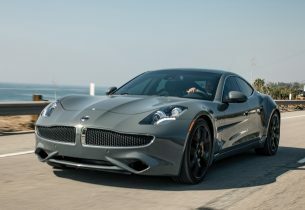 With all four wheels working in unison, this car pulls hard from the start, pins your head to the headrest and just doesn’t let up. Rear Axle Steering is an available option for $2,390. This is a great feature to have on the car and was previously reserved for the Turbo models. It is very useful for daily driving because, at low speed, the system moves the back wheels in the opposite direction of the front wheels to reduce turning radius which makes parking and tight turns easier. As subtle as this is, it is quite noticeable. Once at speed, the system steers the rear wheels in the same direction as the front wheels. This increases driving stability. We did not have the opportunity to take the car on the track, but we look forward to experiencing that in person to see how noticeable and effective it is. Perceptive onlookers would notice another special feature about our car: Yellow brake calipers, front and rear. 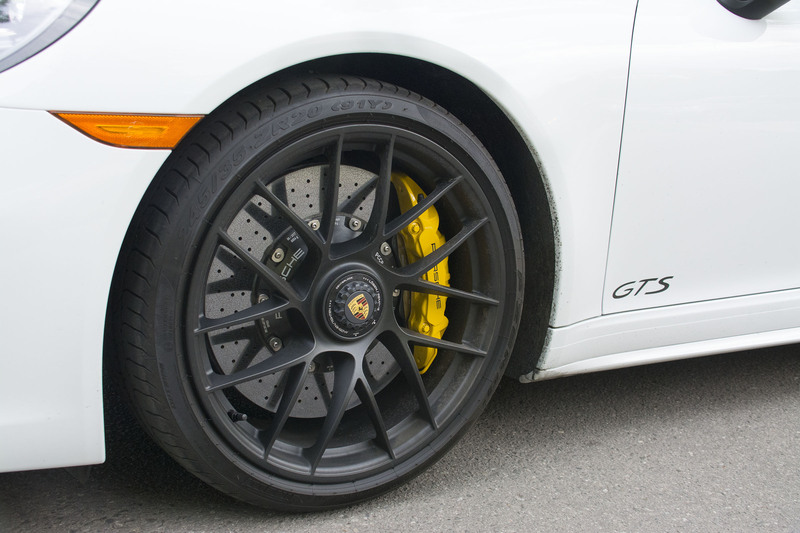 These 6-piston aluminum monobloc fixed calipers in front and 4-piston calipers in the rear, signify the potent Porsche Ceramic Composite Brakes (PCCB) system. 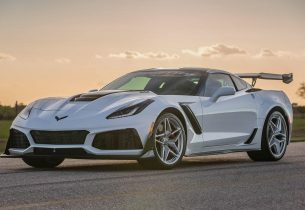 A $9,730 option, the Ceramic Brake System includes carbon fiber reinforced, internally vented and cross drilled ceramic brake discs, 410 mm up front and 390 mm in the rear. Their fadeless braking power is as impressive as the car’s acceleration. The optional Heated Multifunction Steering Wheel in carbon fiber is a particularly enjoyable enhancement that I recommend, especially for cooler climates, and it is a relatively inexpensive option at $540. The steering wheel is the driver’s most tactile connection to the car and the road. What better place to splurge a little if we get to enjoy the payoff with every drive of the car? This option delivers a fantastic steering wheel to use, with a terrific look and feel. On the other hand, our car’s Burmester High-End Surround Sound System is, perhaps, a bit overkill. It will set you back $6,040. It is impressive with total output of 821 watts and 12 individually controlled loudspeakers. In this car, however, the engine and centre-mounted exhaust system’s soundtrack should provide the only music your ears will need. We prefer to keep the roof down, the radio off and the sport exhaust on. 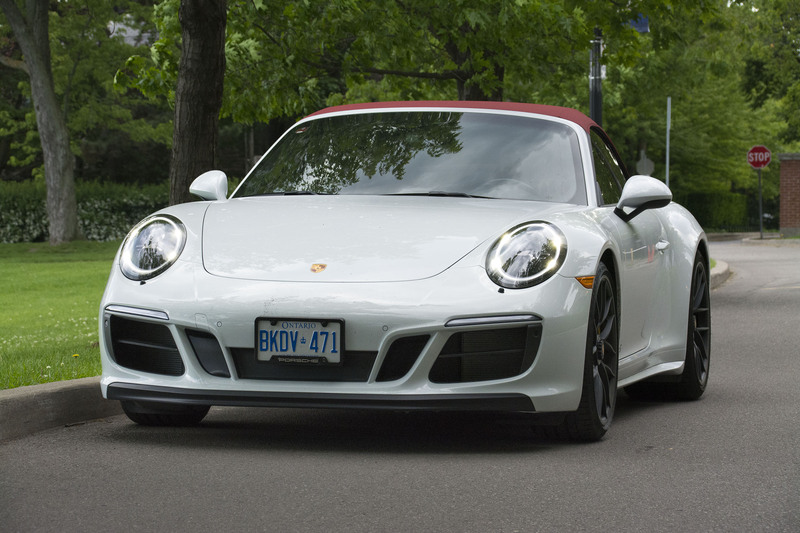 Our Carrara White Metallic exterior is an $820 option, but our red cabriolet top is a no cost option, and looks great. The leather Interior in Bordeaux Red, conversely, comes at a price: it will set you back $4,890. The Porsche 911 C4 GTS Cabriolet is one of the best all-around, all-season, all-wheel drive drop top performance cars on the market today. Jaguar offers the all-wheel drive F-TYPE SVR convertible, which has comparable performance at a comparable price. It starts $142,500 and has a 5.0 Litre 575 hp V8, which propels the F-TYPE from 0-100 km/h in 3.7 seconds. The entry level AWD F-TYPE Convertible starts at $93,000 for the 3.0 Litre V6 380 hp Supercharged model, which will hit 100 km/h in 5.1 seconds. Audi and Lamborghini also offer all-wheel drive convertibles, but they cost a lot more. The Audi R8 Spyder starts at $198,100. Its 540 hp V10 will take you from 0-100 km/h in 3.6 seconds. At the even higher end of the scale is the all-wheel drive Lamborghini Huracan LP610-4 Spyder. Its MSRP is $289,400 LP 610-4, but Lamborghini air freight their cars to Canada from Italy, which adds $15,000 to the cost of each car. The average LP610-4 Spyder leaves the showroom floor in the $350,000 range. Its exotic mid-mounted 5.2 litre V10 engine produces 610 hp and rockets its passengers from 0-100 km/h in 3.4 seconds. But the Lamborghini is the price of two Porsche 911 C4 GTSs. That’s a big price to pay for exotic exclusivity with similar performance. But for some, it’s worth it. If you’re looking for sporty European engineering open air all-wheel drive on a budget, the Audi TT Quattro Roadster starts at $63,790 and will hit 100 km/h in 5.9 seconds with 220 hp and a 6-speed S-tronic dual-clutch drivetrain. 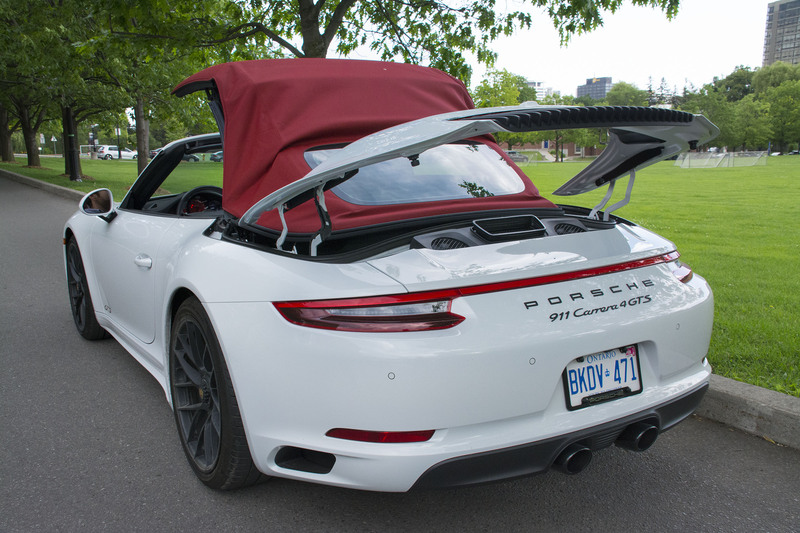 But the new Porsche 911 C4 GTS Cabriolet definitely is one of the best all-around all-season cars on the market today. And those who have to contend with the odd dump of snow during the winter months may choose to add the optional Front Axle Lift System. 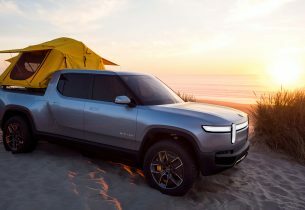 Porsche will happily accept the additional $2,960 for the option, which hydraulically raises the front axle 40 mm at speeds up to 35 km/h. Porsche Traction Management (PTM), found in all 911 all-wheel drive models, is derived from the 911 Turbo and optimally distributes power between the front and rear axle. Porsche Stability Management (PSM) will also help you on the road, on the track, in the rain and in the snow. All 911s come with PSM, which maintains stability “even at the limits of dynamic driving performance,” as Porsche states. With each generation and evolution of the iconic 911, Porsche faces stiffer competition and increasingly tougher regulatory environments. Demands for increased fuel efficiency and reduced emissions risk the erosion of emotion in the driving experience. But, time and again, Porsche masterfully innovates in the face of such pressures. 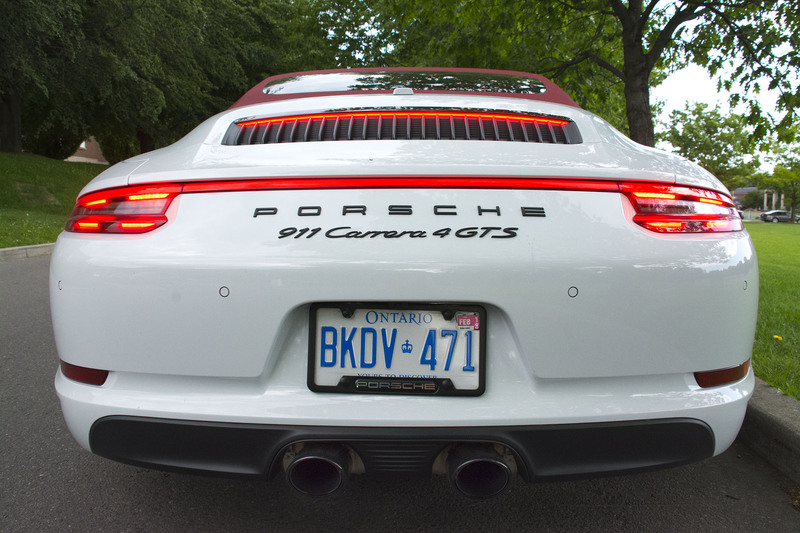 With the help of a smaller 6-cylinder engine and turbocharging, this 911 incarnation is no exception. The new 991.2 Porsche 911 C4 GTS Cabriolet is extremely easy to drive and offers all of the creature comforts of any high-end luxury car. 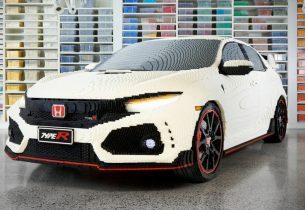 Most importantly, it delivers an exhilarating and rewarding driving experience.